It is more common than you may realize for people who have been in a calorie deficit for any length of time, to find themselves in a moment of weakness. Faced with a craving, or a food temptation that they simply cannot control. Before they know it one little bite, has turned into sitting elbow deep in a bag of potato chips, or licking the last bit of icing off the cake pan. It looks different for everyone. It could be emotionally charged. The loss of a loved one, a stressed relationship situation, a work related crisis. Whatever the case may be, food is often the coping strategy for life’s less controllable circumstances. Why? Unlike controlled substances, psychotherapy, or more extensive stress management solutions, food is endlessly accessible, cheap and noninvasive to other aspects of you life. For this reason, so many people turn to food to suppress stress, provide a release, evoke memories of more simple, “fun” times. Couple these emotions with a diet, and you have the recipe for binge behavior. First of all, know you are not alone. 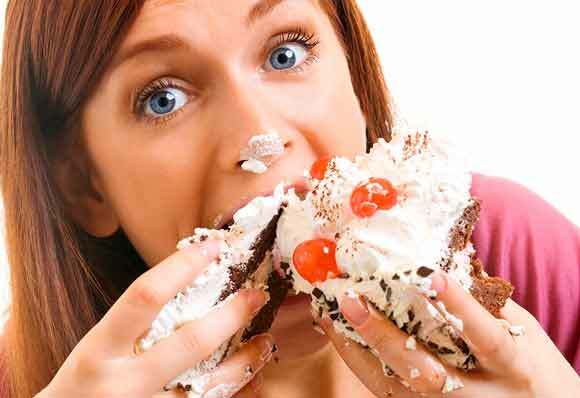 Binges are more common than you might think. By definition, a binge is, “a short period devoted to indulging in an activity to excess”. For one person a binge may mean eating a couple bowls of cereal before bed, while for someone else it may be much more extreme, such as visiting an all you can eat buffet, or hitting a drive thru for the full line-up of the $1 value menu. The definition may be different, but for most people mental and physical impact is the same. Feelings of guilt, shame and disgust. As well as physical ramifications such as indigestion, discomfort and for those on the weight loss journey, a setback in progress. This only exacerbates the self-reprimanding and feelings of defeat. So, how can you deal more effectively with the repercussions of a binge and how can you use these experiences to grow vs. self-sabotage. First of all, STAY OFF THE SCALE. You know you have gained weight. Unless you are some sort of metabolic anomaly, when you overeat to excess, you will gain water weight, and depending on the extent, and the types of foods you choose, you may well have gained some body fat. But weight gain, weight loss…weight changes are temporary. You just have to get back on track. So, to get on the scale and smack yourself in the face with more reality will do you no favors, nor will it reverse the course of history. Find the positive. Sounds simple, and I know it isn’t. The reality is, you lost control. You made some less than ideal choices, you broke down. This is truth. But you can either let it own you, or you can own up to it. Use all that emotion to drive your next choices. Think about how you can use this situation as a learning experience. Plan for the next time you are faced with these temptations. The longer you let the guilt and shame linger, the more you will struggle to get back on your routine. One of the best ways break the cycle is to get back to your training. Even if it at first it is just getting out for a walk, or doing a light yoga/stretching session, just start moving again. When you are feeling back to yourself again, use all that excess energy intake to HIIT is hard. The best way to deplete the excess glycogen in the system is by getting your HR into those high intensity, anaerobic zones. This is where glycogen is your main fuel tank. Be mindful that any exercise cannot eliminate the binge. However, the type of training can reduce the longterm impact; not to mention just get you head back in the game. HAVE A NUTRITIONAL RESET PLAN. When you do binge, there is a need for some nutritional damage control. Often, if you are on a diet plan that involves a certain amount of calories, or more specifically a definitive amount of carbs, fat and protein, then you may want to adjust those amount for a short period of time just to help speed up the process of getting off some of those post-binge lbs. For example, reducing carbohydrate intake, especially more refined and simple sugars for a few days just to help promote glycogen depletion and get your body primed for fat metabolism will help. You might think about focusing on fruit and veggie carbs only. While fruit is a “simple” carb, the fiber and the micronutrients are essential as you try and cleanse your digestive tract as well as promote positive nutrient absorption as well as hydration levels. Staying away from more filling foods like rice, beans, pasta, and breads will just help your body feel lighter and get the system to reset more quickly. One of the biggest challenges post-binge is just giving yourself grace. The longer you regret, and beat yourself up the worse the impact. It will affect sleep, cortisol levels, self-confidence, and energy levels for other, more positive activities. If you are in a relationship, it can also create tension and lack of connection as you work through the recovery process. Treat yourself the way you might treat a friend who confides in you about a binge episode they are dealing with. What would you say, how would you support and comfort them. Do the same for yourself. Mental Grit or Mental Gunk? FUEL. SWEAT. SCIENCE. is a personal performance system developed by Dr. Tiffany Breeding. The comprehensive program encompasses the essentials of nutrition, training and mental toughness custom built to optimize individual goal success, and metabolic needs. © 2019 Work With Dr. Tiff. All Rights Reserved.